We chat to James Olsen, head of own brand at Evans Cycles, and designer of the ‘soon to be a classic’ Pinnacle Arkose, the ADVNTR “go to” bike in the sub £1,500 price range. It doesn’t take long to discover we have a lot in common from a cycling perspective. 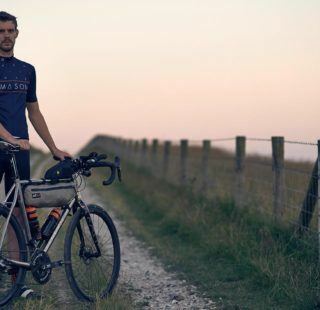 The significant difference is that James has channelled his love of cycling, into the creation of bikes that are both nice to ride and great value for money…and more beyond. 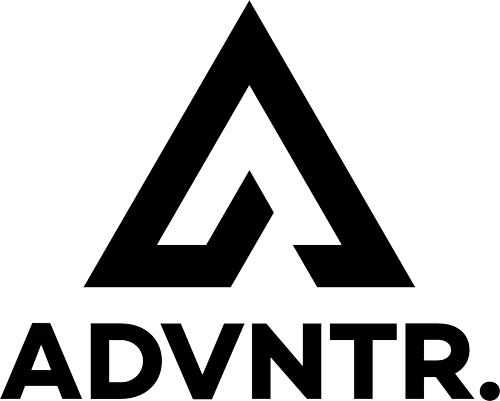 Adventure bikes – what’s it all about? The motivation behind James’ involvement with ‘adventure bikes’ is complex. On the one hand it is firmly based in the practical potential (for the every day rider) of this new breed of bike. On the other is the motivation of a mature, professional, businessman. Many cyclists lose sight of the fact that the bike business is just that… a business. For someone in James’ position, there is always the potential for an underlying conflict. Which considerations are paramount – commercial or pleasure? As a brand manager, will he be more concerned with the unit shifting potential of a product than the customer’s experience? Well, I never got that feeling with James. His background in cycling, and continued involvement in the sport, made me feel that although commercial considerations will never be far away, his primary motivation is to make a decent bike that people will enjoy riding. From where I am sitting, that is definitely “a good thing”. 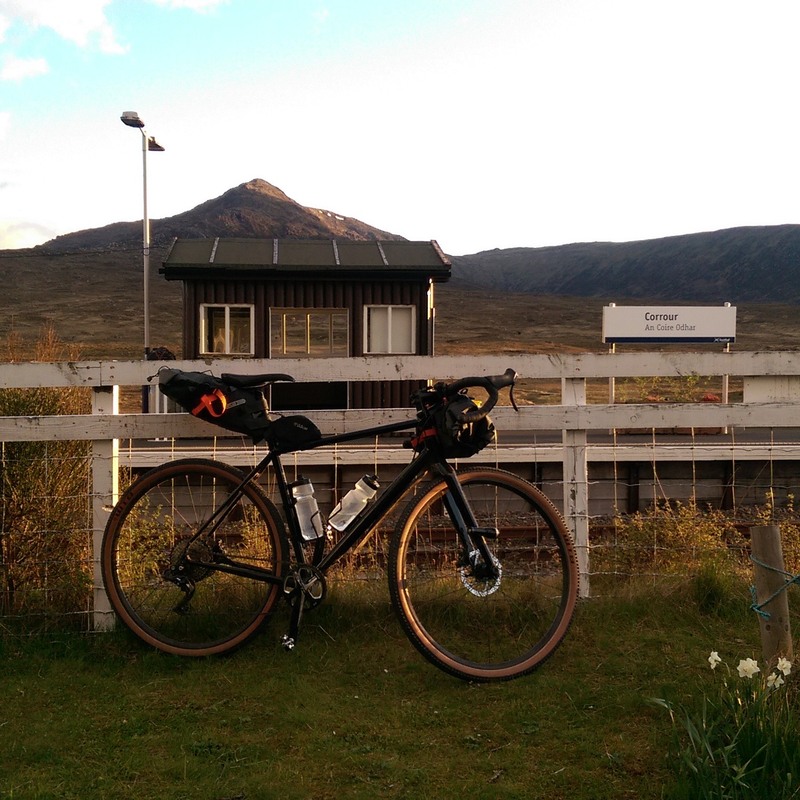 So, is the UK ‘gravel‘ bike a beefed up road bike or a de-tuned mountain bike? For James, the influence that underpins most of his ‘adventure’ designs is the MTB. 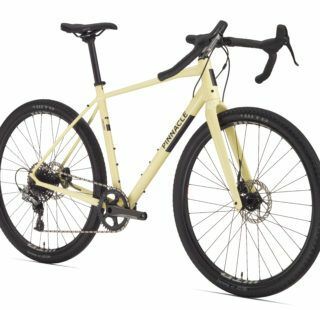 Across the whole genre, the adventure bike (let’s forget this ‘gravel’ nonsense) seemed to emerge initially from mountain bikers wanting a road type bike. Something they could ride quickly on tarmac but was equally capable off road. Simultaneously, a lot of roadies realised that “many roads just aren’t nice places to be on a bike’ and looked for something ‘safer’. The adventure bike developed from here. 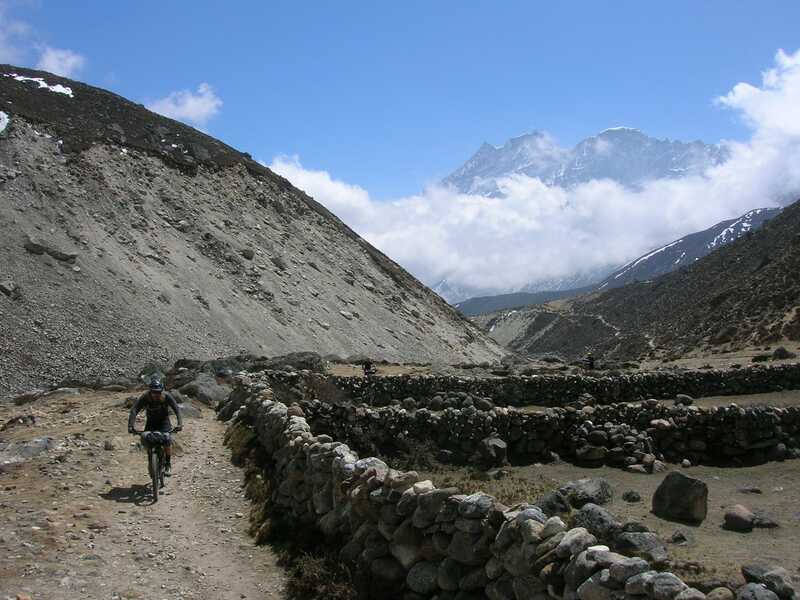 While mountain bikes were the original ‘go anywhere, do anything’ bike, they have become “focussed on technical capability via mechanical complexity” and have therefore lost some of the “simple, all round riding ATB aspect that they had”. The irony is that while MTB design is much freer, more open and “interesting” than road bikes, and has therefore, greater developmental potential, it has resulted in their being ridden in fewer and fewer, groomed, areas viz the trail centre. Bored with going round and round in muddy circles, and with racing fading in popularity, many long term MTBers have begun looking for alternatives. 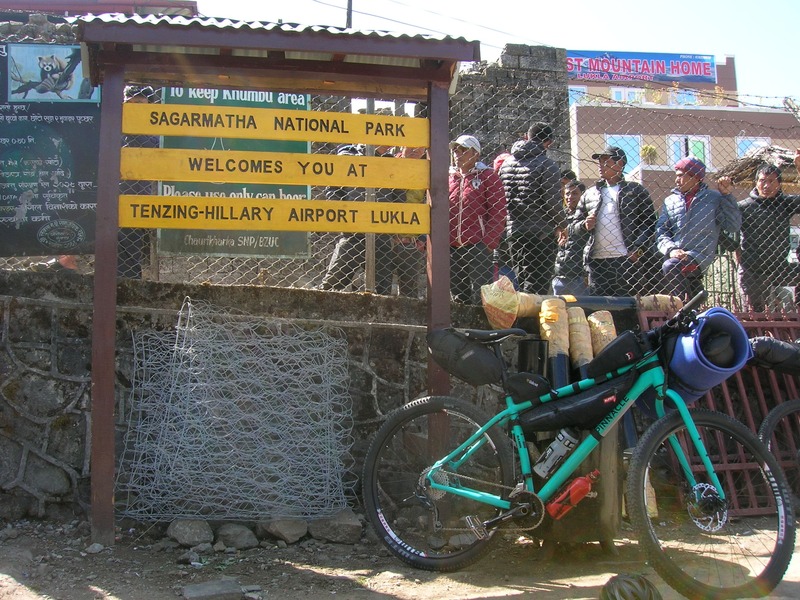 Meanwhile, roadies have generally woken up to the fact that “road bikes with comfier positions and bigger tyres are inviting more riders to go offroad and explore” and have seen the adventure bike as a possible solution to their needs. 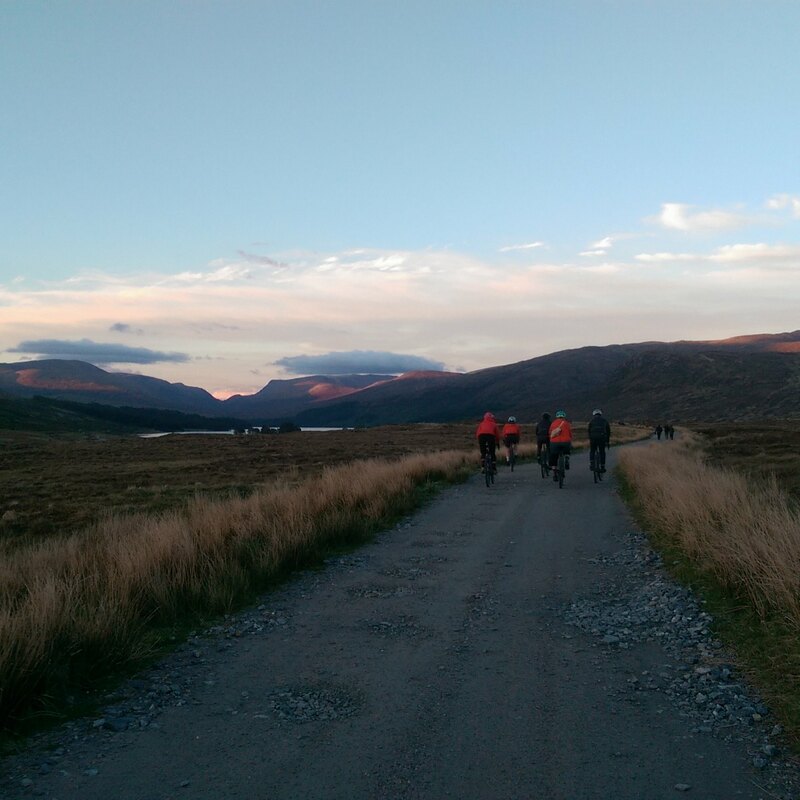 The net result is that both the MTB and road fraternities have begun to embrace what the adventure bike has to offer. 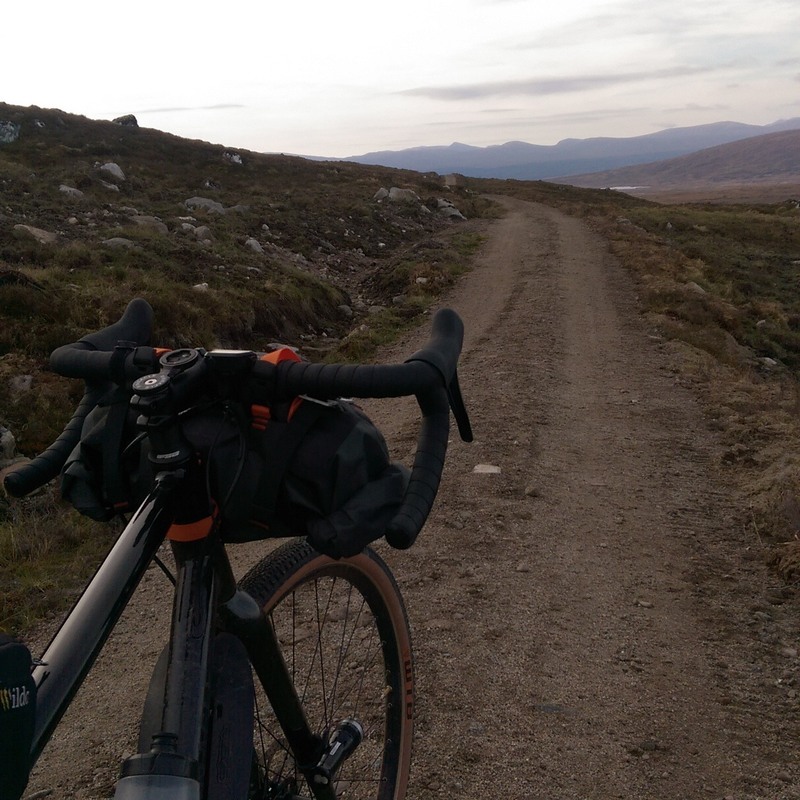 So, with road bikes being “far too conservative, race driven and weight weenie” and mountain bikes having become “over polarised and complex”, the adventure bike has filled the middle ground. To me, this sounds like evolution. Are we reinventing the MTB? There is an important point in here, and this goes to the heart of what James is trying to achieve with the Pinancle Adventure range. A compromise, cobbled together to satisfy short term market trends just won’t cut the mustard. Creating the right tool for the job will be more successful, in the long term, than simply jumping on the nearest bandwagon. For those who missed it, this is another glimpse into his commercial pragmatism. “Commercial” is definitely not a ‘dirty word’. What we see, once again, is his ability to balance commercial imperatives with providing what the customer wants…or maybe doesn’t know they want until they try his product. Ultimately, and I am thinking of the Arkose here, if you build a bike from the ground up (and do it right) it is far more pleasing for the customer than if you try and shoehorn an existing design to meet different use parameters. Get it right and the bike will sell itself! Get it right and everyone wins…the business and the rider. How has ‘adventure influenced your frame design? A lighthearted response maybe, but once again, give it a little thought, look at the end product and try to work out the original design specifications. This leads you to the heart of the design influences for the Pinnacle ‘adventure’ range. Practicality. 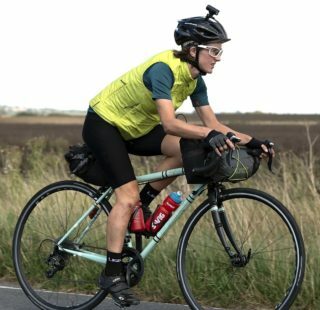 Many contemporary cyclists bemoan the ever changing “standards” that have seemingly begun to be imposed on the unsuspecting bike buyer. Probably the one we all love to hate (James included) is the Press Fit bottom bracket. We all hate them. There is nothing wrong with a threaded bottom bracket (and a good deal ‘right’ with it) but many of the major manufacturers seem to have embraced them to the exclusion of all else. Luckily, for buyers of Pinnacle bikes, he has “never specced one on a bike and never will”. Here comes that ‘practicality’ word again. James’ refreshing and yes, practical, approach to bike design strikes me as eminently sensible. I have lost count of the times I have swapped kit over from one frame to another, only to be stymied at the end by slight shifts in equipment standards. 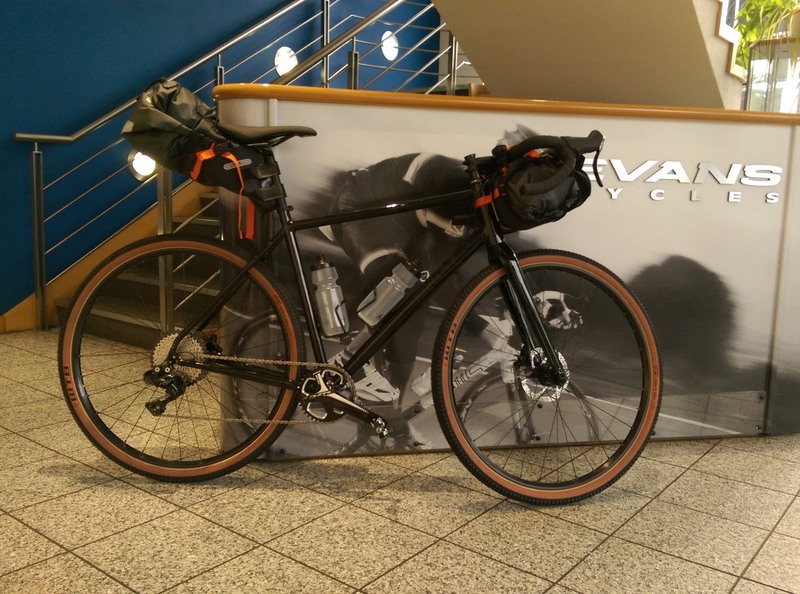 We may be atypical here at ADVNTR but it is fair to say we would welcome fewer ‘standards’. Ironically, the more ‘standards’ there are, the less standard they become. A paradox maybe, much beloved by an industry that many riders feel (sometimes) exists only to part them with their hard earned. Interestingly, James feels it is a little more of a two way street. “What bugs me is the desire from riders to have a tick-list of modern standards on a bike rather than those that suit the bike they want. eg flat mount brakes on steel frames and forks or thru-axles on the rear of gravel bikes. There’s nothing wrong with either, also little point in either apart from compatibility. But the fear of limiting consumer choice drives bike design in a less optimum way. I’m biased here, I own a Jones that has a 135mm front wheel, I have a choice of 2 hub brands – but both are good and I’d take that over an inferior wheel and fork design for that bike’s use. Alongside his impressive work credentials, James has also been busy on the bike. 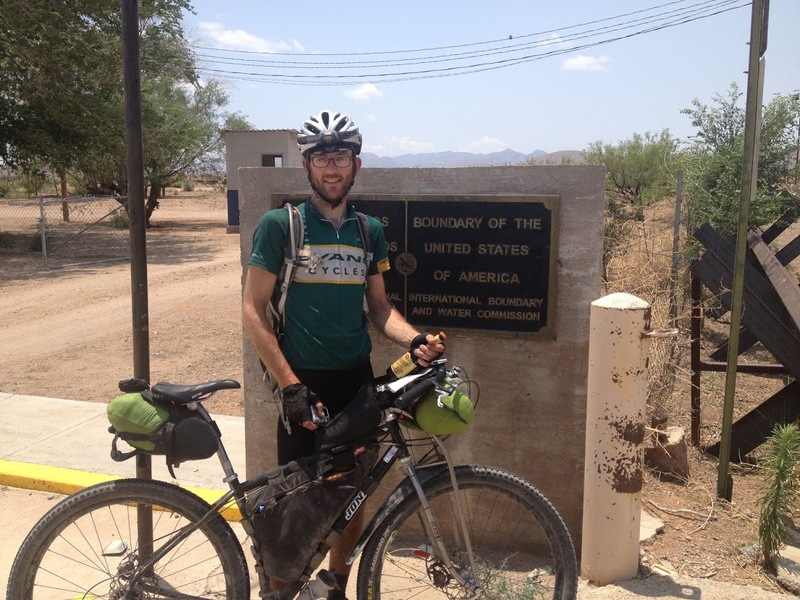 2013 saw him complete the 2,858.75 mile Tour Divide and come in fifth, so he is no slouch on a bike either! 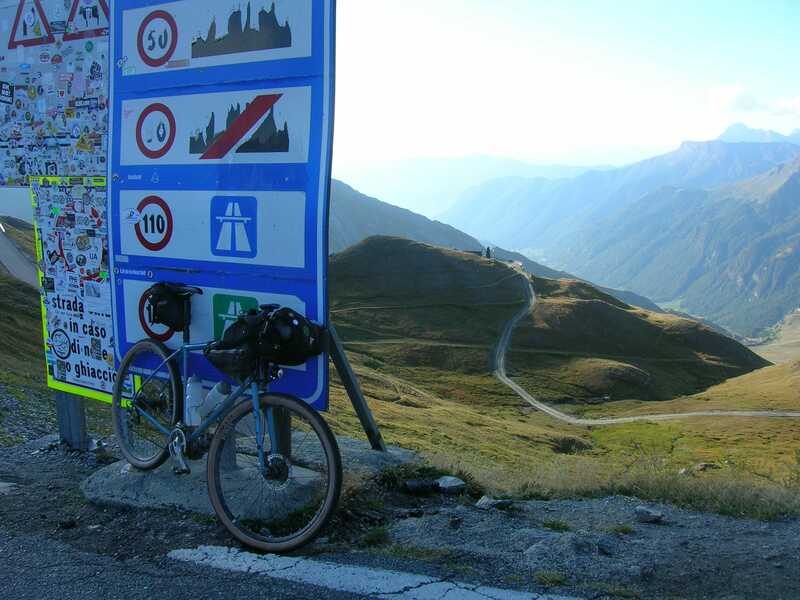 If you have heard of the Turin Nice Rally (TNR), you can mark that one up to James as well. He was the event’s founder. 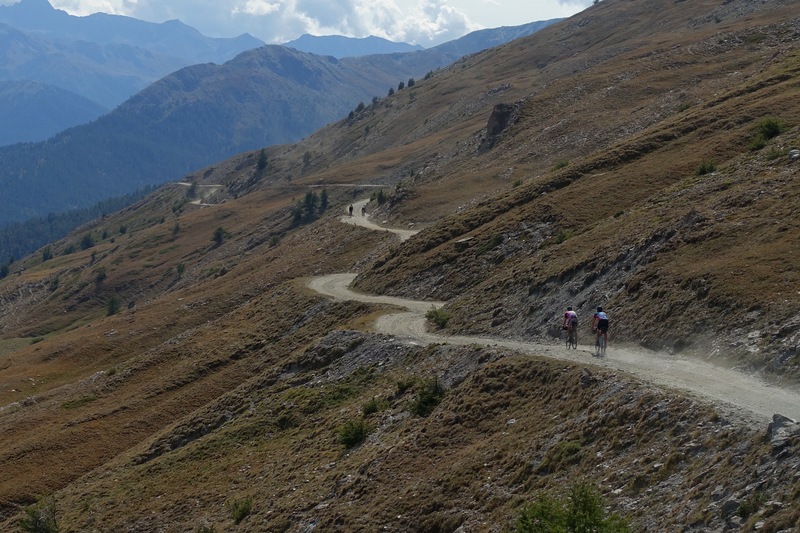 The TNR has built up an impressive reputation as an event that takes in stunning terrain. The Brit in Italy is a bit of a cliché nowadays, but to put on such an event, you must have spent a long time there, building up an intimate knowledge of the area. Earlier in our discussion, James confided: “The greater the radius of detailed road and track knowledge I have in an area the more rewarding I find it”. OK this related directly to the underrated “riding from your front door”, but you can’t ignore the fact that he has obviously applied this to riding on the Continent too! Lucky man! I got the feeling that it would be distinctly out of character if he didn’t incorporate at least a degree of ‘work’ into his leisure time, something he later confirmed. One of the difficulties with putting on an event is that, if it is any good, increasing numbers of people will want to do it. This brings its own set of problems. 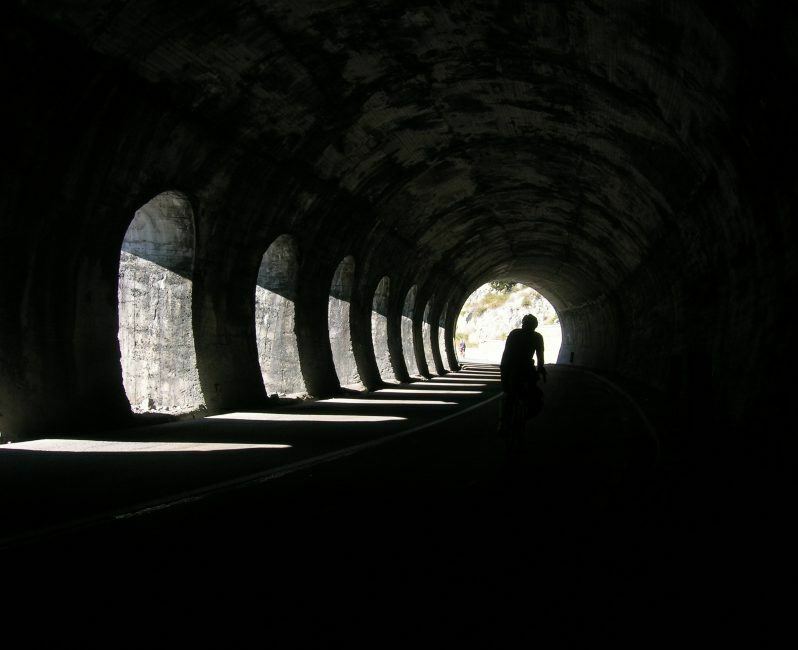 While we were discussing this though, James quietly alluded to one of the motivating factors behind organising the ride… the support of Smart Shelter . “The hurdles have come in in the 3rd year – working through them now. I took a risk for the first two years, hoping that the newness and fairly low profile wouldn’t attract many who didn’t understand what they were getting into. That needs to change now as it’s become more well known, so it’s a challenge to get liability and insurance figured out while keeping the event what it is. It’ll mean some subtle changes in how things are done but nothing that changes the event itself. So there you have it. 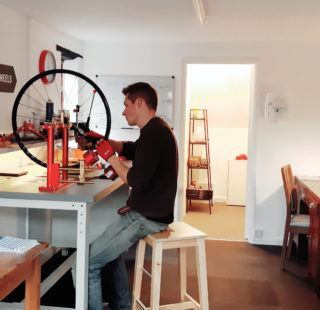 James has managed to combine commercial pragmatism, design skills and altruism without losing sight of the ‘grass roots’ feelings and needs of the every day cyclist. A decent enough trick if you can manage it. View the full range of Pinnacle Bikes on the Evans Cycles website. All photos in this article: Credited to James Olsen.